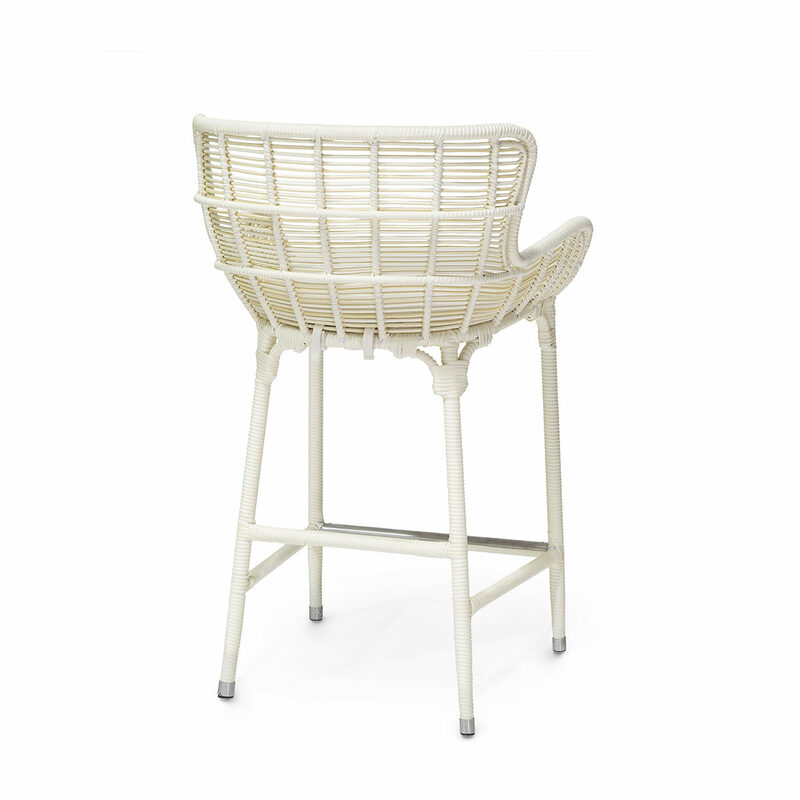 Powder coated aluminum frame and legs with hand-woven all-weather synthetic wicker with maximum UV protection in cream finish. Accented with stainless steelfoot caps and footrest on front stretcher. 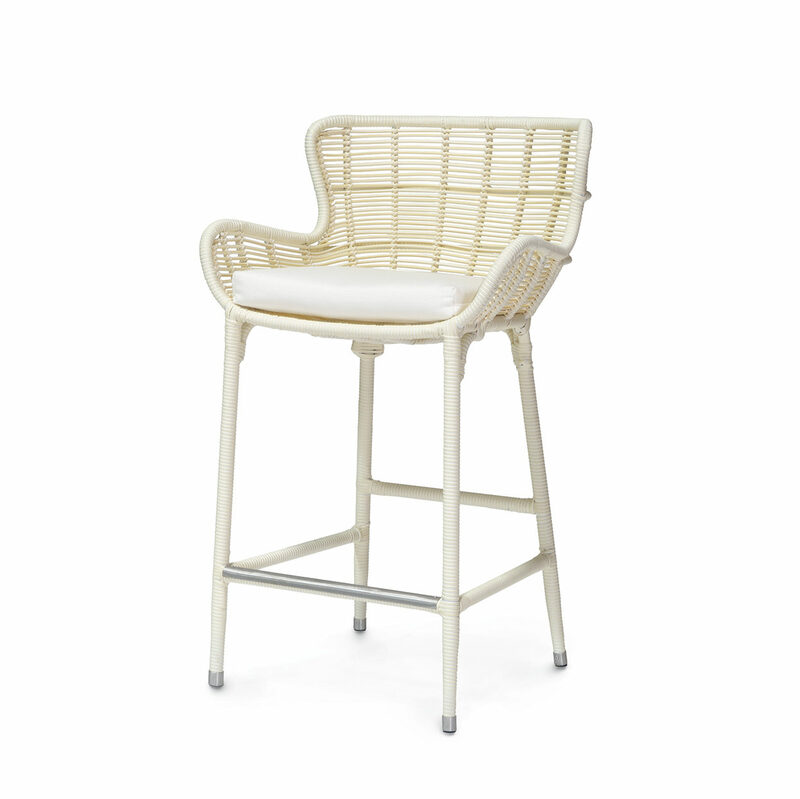 Barstool and arm chair come with a loose seat cushion. All outdoor furniture comes with outdoor cushions unless specified with a Com form.